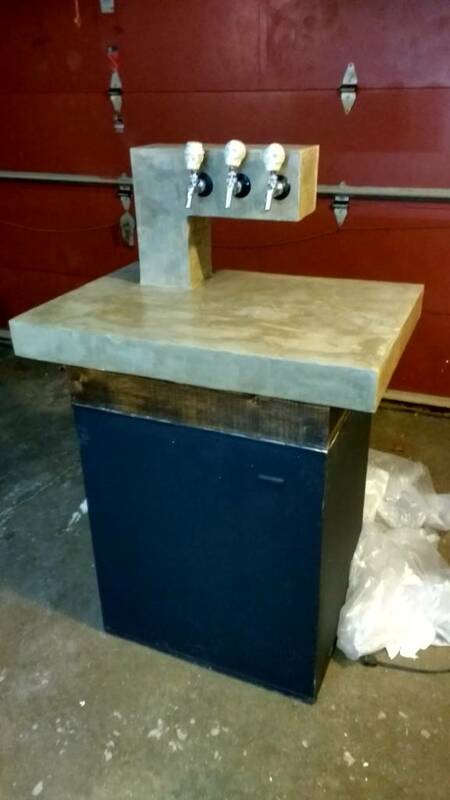 A quick post, I'm writing on a write-up on the specifics of building, but here's my keezer I just built. 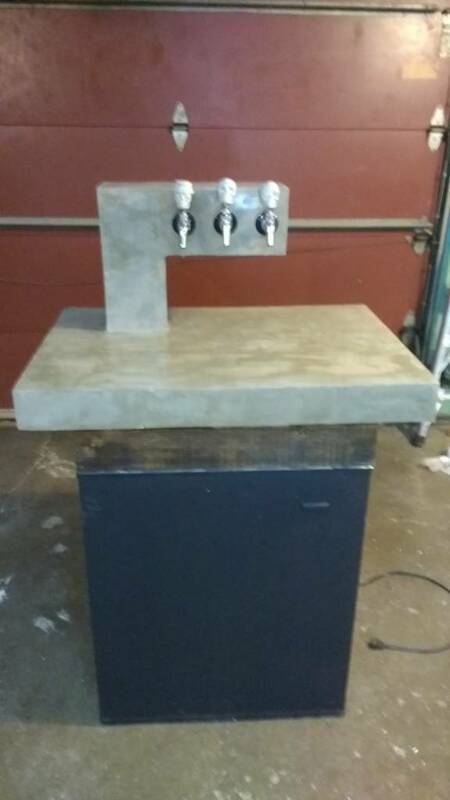 Concrete top, chalkboard sides, and it only took about two weeks to throw together. 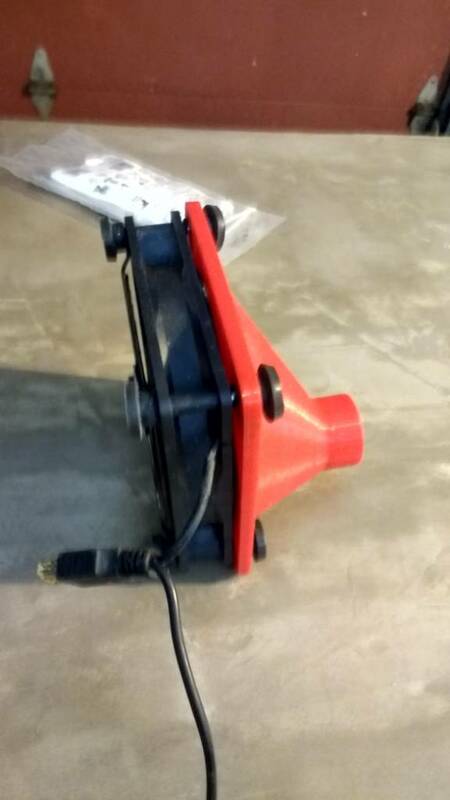 The tower is cooled by a computer fan, with some 3d printed/PVC ducting. Skull tap handles are cast concrete, from a silicone ice cube mold. It's all on a $40 Craigslist chest freezer, and fits 3 kegs and a CO2 tank. It looks cool but my first question is 'How much does that weigh?'. 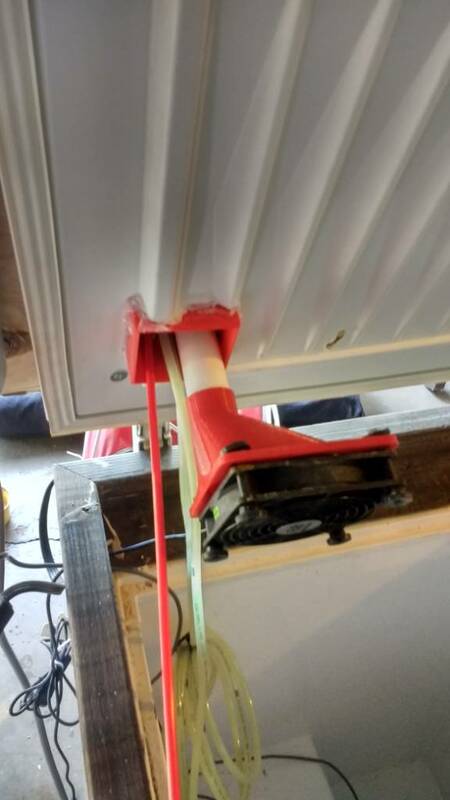 Will the hinges hold up under the strain? Very interesting design. I admit I'm not that creative so it is fun to see what everyone else comes up with. It's actually skim coated plywood, so not whole lot. I lifted it in place by myself. Oh man, that asymmetric tower is cool. That would make a big difference. My early morning, half awake, not enough caffeine brain could only see 3.5" of solid concrete. Very nice! Definitely inspires me.